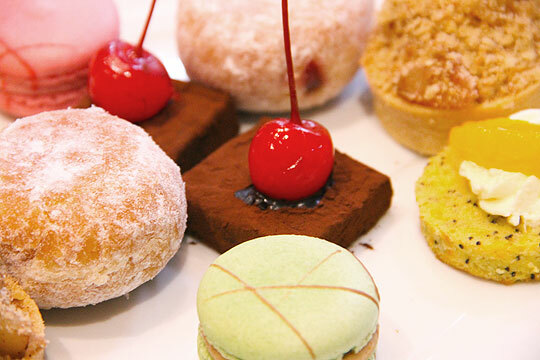 Set in the heart of the downtown hotel district on St Georges Terrace, it offers visitors the refined elegance that has become a hallmark of the grand tradition of the upmarket hotel afternoon tea. 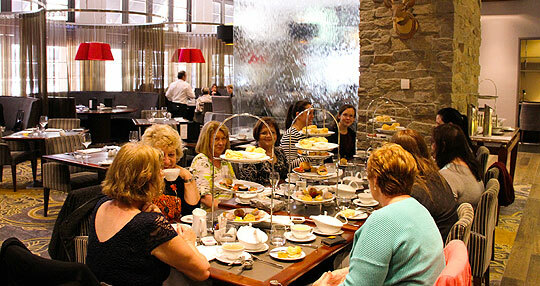 On a lovely, mild spring afternoon in Perth recently High Tea Society had the great pleasure of heading down to the Firewater Grille at the Duxton Hotel to partake of their high tea. 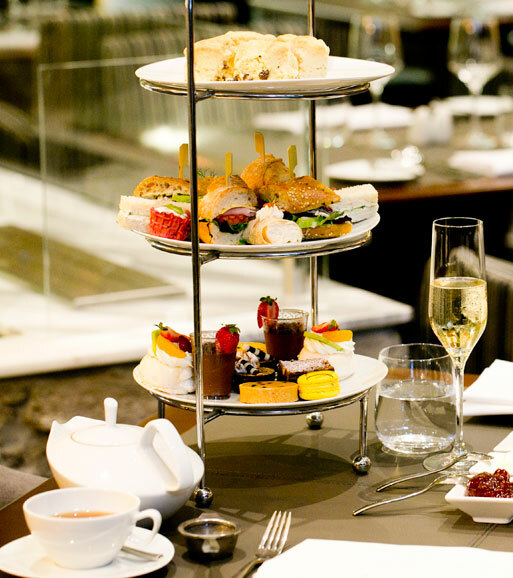 Set in the heart of the downtown hotel district on St Georges Terrace, it offers visitors the refined elegance that has become a hallmark of the grand tradition of the upmarket hotel afternoon tea. There’s something delightfully decadent about going out for high tea at a fancy hotel. When it’s done properly the fancy setting and air of sophisticated luxury transports you to a different world for a few glorious hours. You can forget the mundane drudgery of everyday life and pretend that you are part of the social elite that spend their time drifting without a care from social occasion to social occasion, from garden parties at the Governor’s residence to champagne tinged afternoon teas surrounded by all the trappings of wealth and opulence. If you’re looking for such a slice of delightful, delicious old-time escapism with a modern twist then the high tea at the Duxton’s Firewater Grille is definitely for you. 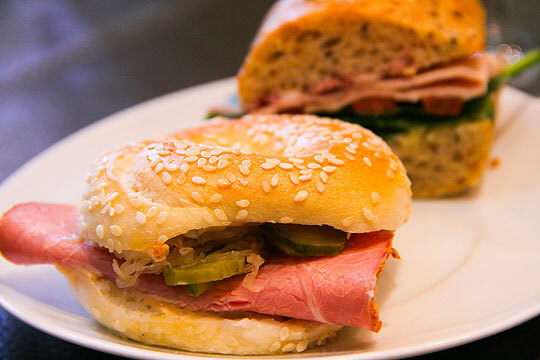 The high ceilings and tastefully modern décor set the tone nicely as we made our way to our table amongst the bustle of wait staff in collared shirts pouring tea and delicately arranging sandwiches on trays with tongs clasped in white gloved hands. Being that we’d opted for the Sparkling High Tea we decided to begin proceedings with a glass of Chandon Brut NV. Bright and lively with a good balance of fruit and acid it was a great match for the savoury items that we started with. 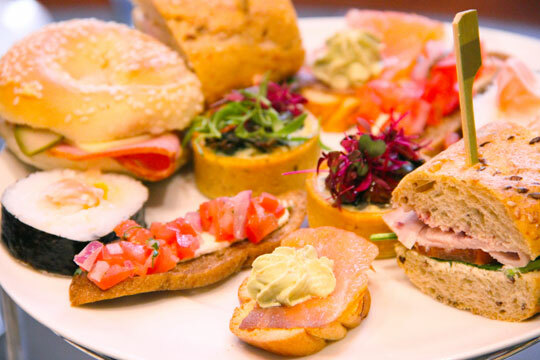 Firewater Grille’s head chef Aaron Burrows has cast his culinary net far and wide when deciding upon what savoury items to include in the Firewater Grille’s high tea and seems to have caught a bit of a mixed bag in terms of the resulting fare offered up. Some items really hit the mark, such as the delicate refinement of the salmon and avocado mouse with brioche croute and the bold tanginess of the whipped goats curd bruschetta on rye crostini. The roasted Spanish onion and brie tartlet was also packed full of wonderful flavours with a delightfully rich and cumbly pastry but was let down a little by the ‘chilli jam’ that smacked a bit of garden variety sweet chilli sauce. Other items like the prawn and mango sushi and Reuben’s style bagel were good ideas, and great alternatives traditional cucumber sandwiches etc of a traditional high tea, but sadly lacked a bit of the finesse in execution necessary to make such an eclectic array of gastronomic influences really come together and shine. Happily enough, however, we found the next tier of scones and passionfruit and white chocolate brulee was much more on song. Perfectly light and fluffy with a plain and fruit one per person the scones were utterly delightful. Equaling and even exceeding the scones in loveliness was the delicate brulee that had a marvelous passionfruit sweetness that was restrained enough not to overpower its lightly chocolaty creaminess. The only slight down point of this second course was the jam which had that overly firm, just-been-scooped-out-of-a-cheapish-jar feel to it. 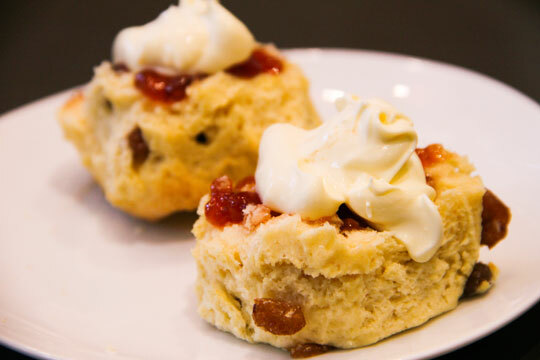 Set against such heavenly scones it really was quite obvious so they could definitely lift their game in that department. After all, when you’re aiming to do a first rate high tea it’s the little details like good quality (and preferably made on site) jam that really make the difference in the end. We had our tea delivered along with our scones, myself choosing the beautifully rich and complex yet not overpowering Chai Marsala and my two partners in crime going for a the more conventional but yet no less tasty Traditional Afternoon tea. Served in modern style white china that had a twinge of minimalist chic it definitely suited classy-yet-modern feel of the room and high tea service. After a few early minor stumbles I’m happy to report that the sweets course was far and away the winner of the afternoon. This time around it was more of a case of struggling to pick favourites out of an excellent array of sugary delights, but for me it would have to have been the surprise of the plain looking yet amazing tasting red fruit beignet and the lovely contrasting bitter meets sweet cocoa dusted cherry fudge. 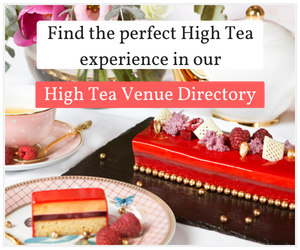 On consideration, there are definitely things in relation to the fine detail of their high tea that the Firewater Grille could improve upon. However, if you look beyond this and ask whether or not the whole experience transported you to that fantastic, other-worldly land of the posh hotel afternoon tea then the answer is a resounding yes. While they’ve definitely updated it and given it a contemporary, slightly multicultural twist the service is still wonderfully attentive, the gloves, uniforms and smiles still sparkling white and you still leave the place chock full of delicious food and floating on a cloud of opulent decadence for as long as it takes the dreary normal world to take hold and bring you back down to earth again, and isn’t that what a good high tea is really all about? 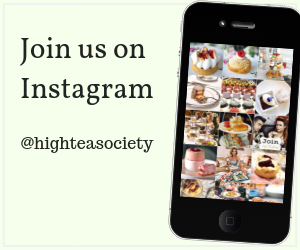 Best of all is the fact that you can make this escape from reality any time you like as they are one of the few places in town that serves high tea every day of the week (although you will have to pay a little more for it on a weekend). Chandon Sparkling high tea add a glass of Chandon. 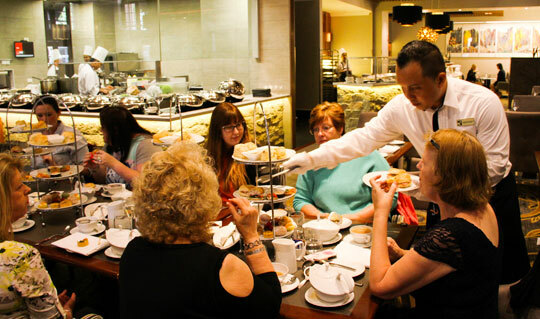 Traditional high tea is served Monday – Friday; Chandon Sparkling high tea is served everyday of the week. 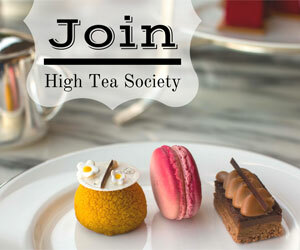 Traditional High Tea $38 weekdays; $40 weekends; Chandon Sparkling High Tea Monday – Friday $48 and Saturday – Sunday $50. 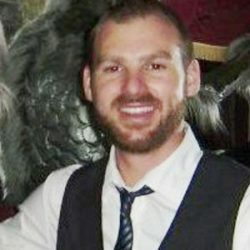 Justin is the Co-owner and operator of Food Loose Tours and lives in Perth, Australia.